The San Mateo Mirror by Pulaski Furniture is inspired by the beauty and warmth of Northern California’s wine country. 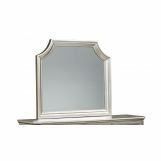 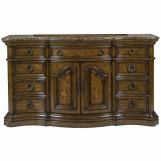 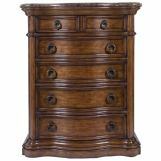 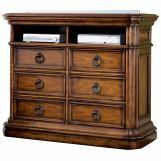 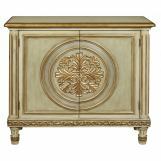 Its softly flowing frame with decorative molding is carved of select solids and pecan veneers and finished in San Mateo. 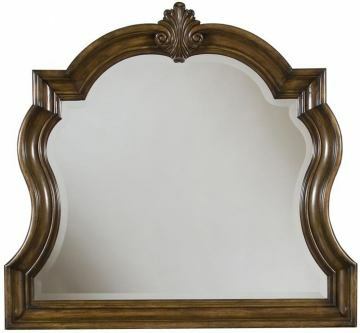 The mirror is beveled for low distortion and a carving accent on top of the frame gives the piece a sophisticated and noble look. 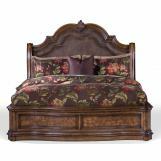 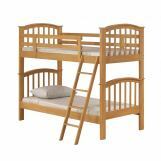 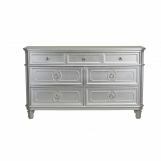 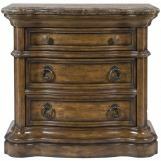 The item is featured as part of the San Mateo Bedroom Set.